National Book Lovers Day is Aug. 9, so it’s the perfect time to add new titles to your reading list. Before heading to the bookstore, readers might want to check out what’s coming to movie theaters. Many bibliophiles love reading the book before the movie comes out, so check out the page to screen adaptations coming out this fall. “Our Souls at Night” (Sept. 1) Kent Haruf’s book is being made into a movie for Netflix. Jane Fonda and Robert Redford play a widow and widower who have been neighbors for years. They don’t have much of a relationship until Fonda’s character decides to change that. The movie is not rated. “It” (Sept. 8) If you aren’t afraid of clowns already, you might be after seeing or reading “It.” Stephen King’s horror novel was made into a miniseries in 1990. The R-rated movie follows a clown called Pennywise who is trying to kill kids. The filmmakers are intending to make a sequel that follows the children as adults if audiences react well to this adaptation. “Fallen” (Sept. 8) Lauren Kate’s paranormal young adult novel will hit the big screen this fall. Luce Price (Addison Timlin) attends a boarding school where she meets a boy who feels very familiar. She soon discovers that he is a fallen angel who has been fighting for her for centuries. The PG-13 movie is already available on digital platforms, but fans will have to wait until September to see it on the big screen. “American Assassin” (Sept. 15) Vince Flynn’s novel is becoming a big action movie. After Mitch Rapp’s (Dylan O’Brien) fiancée dies in a terrorist attack, he decides he needs to be in the CIA. Agent Stan Hurley (Michael Keaton) gives him some intense training, and Rapp joins him on a mission to Turkey to stop an international attack. “The Mountain Between Us” (Oct. 20) Kate Winslet and Idris Elba star as two travelers who need to get to Idaho. They quickly team up to charter a small private plane with a pilot to get where they need to be for tomorrow, skipping the usual step of filing a flight plan. Trouble comes when the plane crashes in the middle of the mountains and the two must survive in the wilderness. The drama is based on Charles Martin’s novel. “Thank You For Your Service” (Oct. 27) Miles Teller stars in this R-rated adaptation of Finkel’s non-fiction book. The R-rated film follows U.S. soldiers as they struggle to return to civilian life while plagued by memories from the battlefield. “Wonder” (Nov. 17) Jacob Tremblay stars as Auggie, a 10-year-old with facial deformities. Due to many surgeries, he was home schooled, but now he is ready to go to school with other kids. However, children aren’t always kind to those who are different. “Perks of Being a Wallflower” author Stephen Chbosky directs the PG-rated film, based on R.J. Palacio’s kids book. Julia Roberts and Owen Wilson also star. 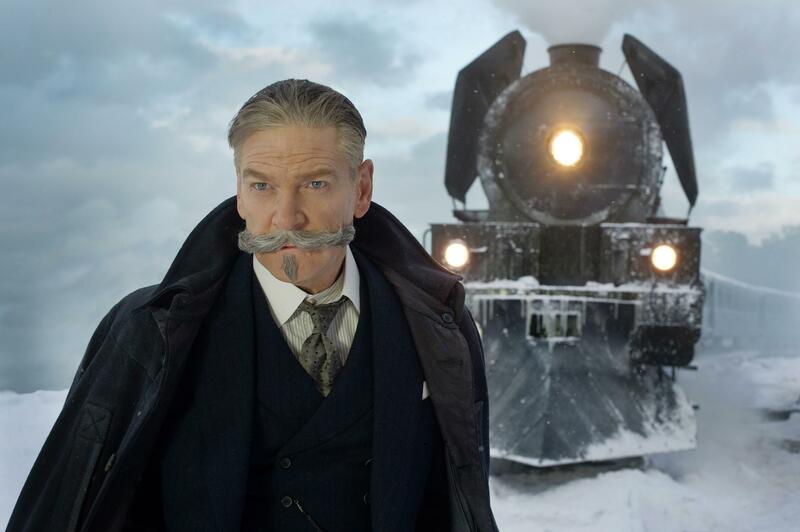 “Murder on the Orient Express” (Nov. 22) Agatha Christie’s mystery novel is coming to the big screen again with an all-star cast. Someone is murdered on a train traveling through Europe, and Detective Hercule Poirot must find the killer. Kenneth Branagh directs and also stars as the detective. Johnny Depp, Michelle Pfeiffer, Daisy Ridley, Penélope Cruz, Josh Gad, Judi Dench, Willem Dafoe, Marwan Kenzari and Olivia Colman are all in the cast.